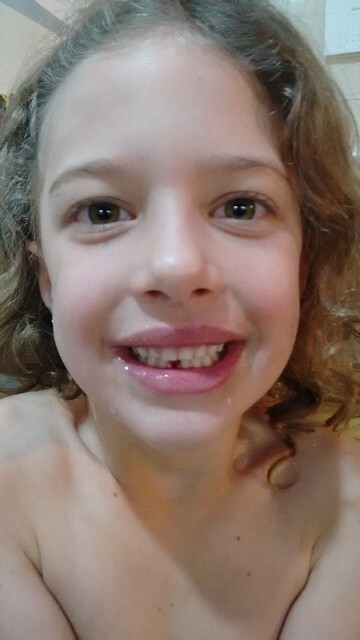 Eden lost her first tooth on March 5th. She'd gone to the nurse complaining about her teeth hurting, which the nurse solved with some kind of cream. When I got home and she told me that I looked in her mouth and could already see the tooth cutting through. It had been wiggly for awhile and she hadn't noticed. She let me pull it out with my finger that night. Her second tooth came out just about a week later, which I pulled out as well, although with more blood and drama.